India, a land of diversified cultures and religions, is a home to some of the ancient civilizations on earth. It is a place where varied age-old rituals are performed by people of different religions to demonstrate their faith and as a penance to their deity or prophet they worship. While some of the rituals are backed by logic and religious scriptures, and are practiced across India, there remain a few which are quite unexplained and outright weird. Amidst the longstanding argument between superstition and faith, these rituals continue to exist as a result of people’s fluttered blind faith. Kolkata, India. 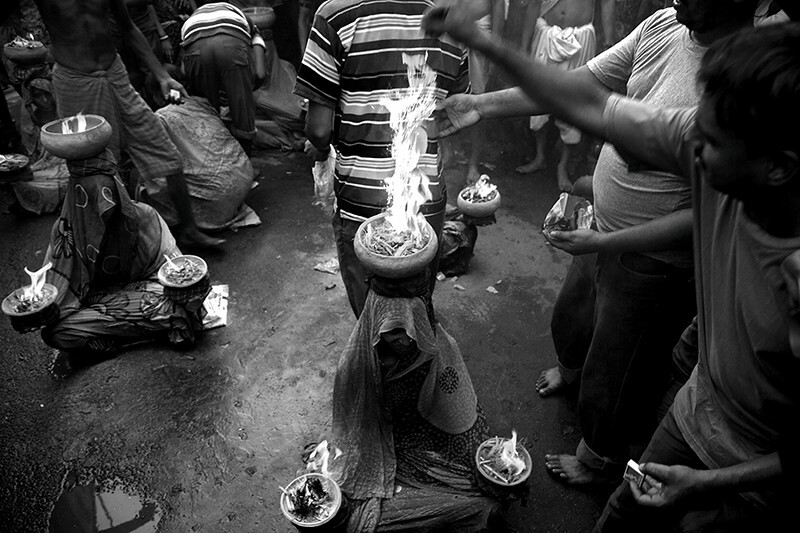 Women offering prayers to Goddess Sitala while holding burning clay pots on their head and hands.